Each theme is formatted to represent the University of Michigan branding initiative and has been approved by the LSA DMC design team. The theme is selected by the site owner on a site by site basis, where the same styling is applied to each site. Background colors, navigation colors, the LSA logo, and heading colors are pre-set. Themes can be personalized and customized by adding relevant images, posts, and graphics in dynamic, interesting display. 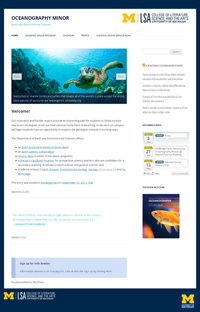 The themes Astrid, Sparkling, 2012, and 2011 are responsive designs that when accessed on a mobile device are automatically resized to fit the screen. 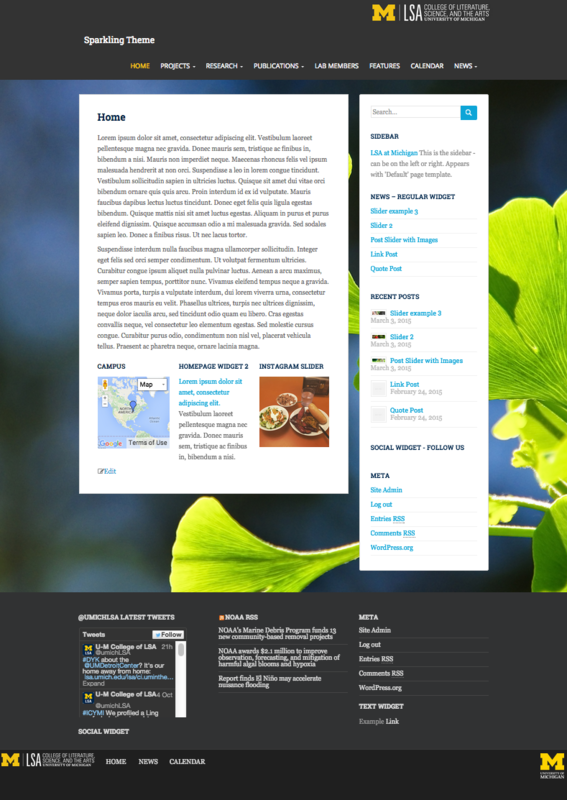 Astrid features a scrolling “widgetized” homepage template with the option to add fixed background images. Any questions on the selected themes can be sent to lsa.web.support@umich.edu.